Vice President M Venkaiah Naidu has favoured teaching professional degrees like MBBS in Indian languages while batting for an educational system with greater emphasis on Indian history, heritage and culture. He was speaking at the valedictory of the golden jubilee celebrations of Hindustan Group of educational institutions on Friday. 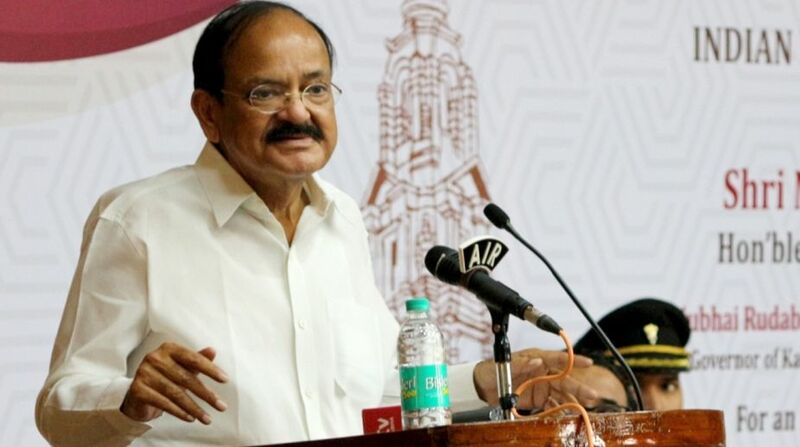 “I have always been impressing upon the need for children to be taught in their respective mother tongues in various states to underscore the importance of language,” Naidu said. The education system must inculcate strong ethical, moral and humanistic values, he said. The vice president said India was once known as ‘Viswaguru’ and knowledge seekers from all corners of the world flocked to centres of learning in the country, including Takshashila and Nalanda, in the olden days. Such a scenario changed following foreign invasions and the British colonisation, he said, adding the time has come for India to once again emerge as the global knowledge hub. “The time has come for us to come out of colonial mindset. This is possible only through proper education system with greater emphasis on Indian, history, heritage and culture,” he said. While acquiring knowledge from across the globe, students must remain rooted to India’s glorious culture, traditions, ethos and heritage, he said. Tamil Nadu Governor Banwarilal Purohit and Fisheries Minister D Jayakumar took part in the event.